It is without scientific question that musical training has a large impact on the development of the brain, especially language, speech, attention, memory, and the ability to express emotions vocally. 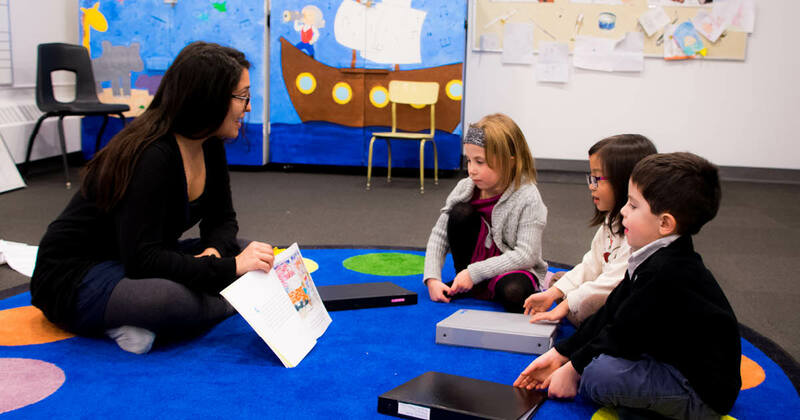 Using a blended approach of proven methods such as Suzuki, Orff, and Kodaly, Music Explorers is a journey of discovery designed to create a foundation for the well-rounded musical skills needed for private instruction. Join your child in their first explorations of the musical world! Bach Babies, Mozart Mites, and Rossini Rascals are designed for children 3 months to 4 years of age and offer a comprehensive approach to developing musicianship skills. Sing interactive songs with the help of an animal friend, choose an instrument from the instrument bag to play, and use dance to feel the music in your body! Watch your child develop coordination, confidence in solo performance, and the ability to work with others as they launch into a journey of discovery and enjoy the benefits of early music education. VAM Voyagers and Navigators will explore everything in the world of music from composers around the globe to the fine detail of the notes, rhythms and instruments that make up our musical landscape. Take out those telescopes and find the many notes that live on the musical staff! Steer through rhythms using a wide variety of percussion instruments and leap from note to note while singing melodies. Don’t forget to study the maps of explorers before you! Discover the lives of composers who wrote the many pieces of music that we know and love. Voyagers and Navigators will be able to use expert navigation skills to guide others through inviting other VAM students and staff as special guests and leading them through the journey of how musical instruments work and sound. Class Description: Join your child in their first explorations of the musical world! Sing interactive songs with the help of an animal friend, learn to play an instrument, and use dance to feel the music in your body in this introduction to the benefits music has to offer you and your child. Class Description: Watch your child develop coordination, confidence in solo performance, and the ability to work with others through singing, playing, and movement. Class Description: Dive into musicianship skills with elements of the Orff and Kodaly methods with the exploration of several different percussive instruments. Class Description: VAM Voyagers will explore everything in the world of music from composers around the globe to the fine detail of the notes, rhythms and instruments that make up our musical landscape. Take out those telescopes and find the many notes that live on the musical staff! Steer through rhythms using a wide variety of percussion instruments and leap from note to note while singing melodies. Don't forget to study the maps of explorers before you! Discover the lives of composers who wrote the many pieces of music that we know and love. Voyagers and Navigators will be able to use expert navigation skills to guide others through inviting other VAM students and staff as special guests and leading them through the journey of how musical instruments work and sound. Class Description: VAM Navigators will explore everything in the world of music from composers around the globe to the fine detail of the notes, rhythms and instruments that make up our musical landscape. Take out those telescopes and find the many notes that live on the musical staff! Steer through rhythms using a wide variety of percussion instruments and leap from note to note while singing melodies. Don't forget to study the maps of explorers before you! Discover the lives of composers who wrote the many pieces of music that we know and love. Voyagers and Navigators will be able to use expert navigation skills to guide others through inviting other VAM students and staff as special guests and leading them through the journey of how musical instruments work and sound.